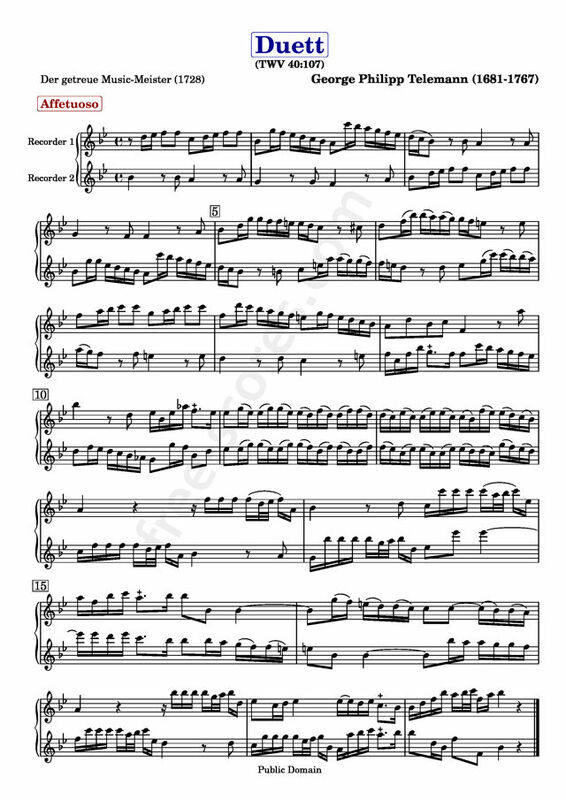 The works of TELEMANN can give great joy to any group of performers....be sure to browse the many selections in this site...and to hear more of my MP3's visit my website at lenandersonmusic.com. very clear, legible score of recorder duets from "Der getreue Musik Meister"
I've only seen once piece so far, but I'm happy to have found this site. Thank you very much. I think it's a very beautiful piece but when you play it alone.. This is something I will work towards being able to play, and I think it's a beautiful peice.